As the autumn air begins to nip, we dig deep to harness the enthusiasm and kick on the determination to see the final few nights of the summer months astride our newly resurrected machines. 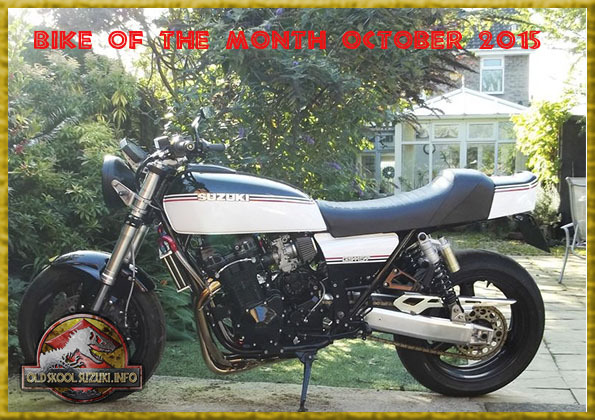 This month’s Bike of the Month award goes to a GS which has challenged to the last but is oh so worthy. For those who have not yet caught up with 370steve’s progress thread in the OSS Member Project section of the forum, where have you been!? Read all about it here. Crack a beer, 370steve! That’s one beauty of a machine you’ve built yourself there. Oldskoolsuzuki.info | Powered by Mantra & WordPress.